Dubai, UAE: Cisco announced new services and cloud-based security solutions built with Cisco’s threat-centric security architecture. With best of breed security solutions uniquely architected to be integrated, automated and simple to use, the Cisco® security portfolio provides companies with a more effective approach for securing their digital business models. From the network to the endpoint to the cloud, Cisco’s architectural approach detects more threats and helps customers on average reduce their time to detection to less than 13 hours — much faster than the industry standard of 100 days. “Digital business is the most impactful disruption to security in the history of the technology industry. As a result, companies are struggling to manage the security challenges from both large, distributed environments and the active adversaries aggressively targeting these expansive attack surfaces every day. 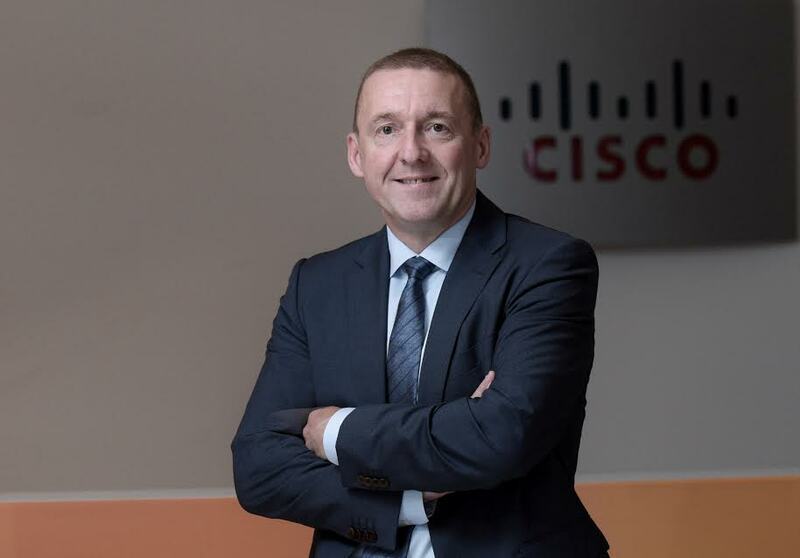 Our customers are finding that they need a more integrated approach to security, and Cisco provides them with a threat-centric security architecture that is much more effective in a digital world,” said Mike Weston, Vice President, Cisco Middle East. As digital transformation brings more users, devices and applications online, companies are challenged to protect an expanding attack surface. With more space to operate in and greater opportunities to generate a profit, active adversaries are relentlessly targeting businesses, organizations and people. In response, companies are deploying up to 70 disparate security products to address a variety of needs — a practice that is difficult to manage and often leaves businesses more vulnerable. While potentially increasing capabilities, this conventional, niche-product approach to security can create unmanageable complexity that results in a security effectiveness gap for companies. Through its security architecture, the Cisco security portfolio increases capabilities but also decreases complexity — offering an alternative approach for customers that helps them close the gap and be more secure. By combining unprecedented network visibility and its breadth of integrated products, Cisco makes it simple for distributed and mobile businesses to deploy effective security where needed from the branch office to headquarters or with the end user wherever they go. Cisco embeds security into the points of connection that users traverse so that the network, access points or endpoints are safe before a user even logs on. Cisco Umbrella Roaming: This centralized, cloud-delivered protection is the simplest way to remove off-network blind spots, guarding roaming employees wherever they work. With Umbrella Roaming, now embedded as a module with AnyConnect® (Cisco’s VPN solution), organizations can add a new layer of off-network protection that blocks connections to malicious sites without needing to deploy another agent. Cisco Umbrella Branch: This cloud-delivered solution gives businesses more control over guest Wi-Fi use with easy content filtering. With Umbrella Branch, businesses can simply upgrade Integrated Services Routers (ISR) for simple, fast and comprehensive security at branch locations. Cisco Defense Orchestrator: This cloud-based management application enables users to easily and effectively manage a large security infrastructure and policies in distributed locations across thousands of devices through a simple cloud-based console. It cuts through complexity to manage security policies across Cisco security products from ASA and ASAv firewalls to Cisco Firepower™ next-generation firewalls and ASA with FirePOWER™ Services featuring Firepower Threat Defense, and OpenDNS. Cisco Meraki® MX Security Appliances with Advanced Malware Protection (AMP) and Threat Grid: This completely cloud-managed unified threat management (UTM) solution simplifies advanced threat protection for the distributed enterprise, providing branch offices with malware protection that checks files against its cloud database to identify malicious content, blocking the files before users download them. Cisco Stealthwatch Learning Network License: This component enables the Cisco ISR to act as a security sensor and enforcer for branch threat protection. It allows businesses to detect and track anomalies in network traffic, analyze suspicious network activity, and identify malicious traffic. Additionally, Cisco Security Services for Digital Transformation enables organizations to build a strong security foundation, which is the key to successful business outcomes. The new service helps organizations examine core security fundamentals that identify their readiness to adopt digital technologies. Expert advisers recommend security strategies and provide tailored solutions based on industry trends and vital business needs to achieve agility, innovation and growth. Cisco’s channel partners are playing a strategic role in helping customers build and manage their security infrastructures. The new security offerings will help channel partners design simple, open and automated solutions for their customers around the industry’s most effective security portfolio. With enhanced cloud-based protection and solutions that simplify overall security management, Cisco is opening up new service opportunities for partners to manage their customers’ security services and tap into recurring revenues.